The trails traverse through a fruit forest onwards to the historic Morgan Lewis Sugar Mill and over to the rugged and unspoiled beach on the East Coast. The trail boasts a view of four different parishes and is one of the most scenic tours in Barbados. 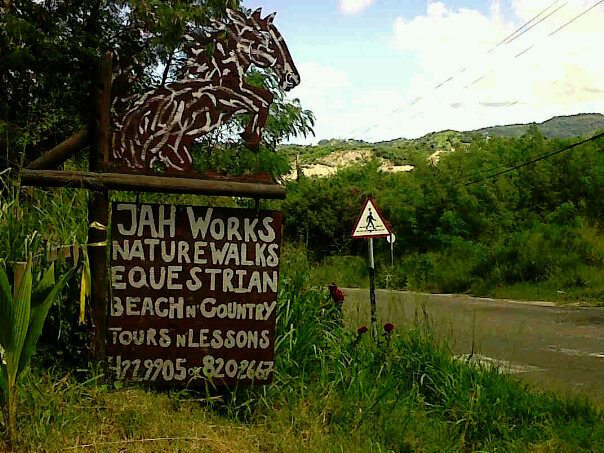 Jahworks offers private or semi private guided tours of small groups only. Lessons in Dressage or Show Jumping are also available. Children 4-7 are welcome and must share a horse with a parent. Children 7 years and older are welcome on the trails and will ride on a lead. For younger children who are not experienced riders, a lesson a recommended. There is an on-site bar and food shop at Jahworks.